Share your stories with the world. Publish your slides. Exchange ideas with audience around the globe, publish externally, embed your slides on websites, blogs and social media sites. Internal business presentations? Publish your slides within your organization. Which version do you want your audience to see? 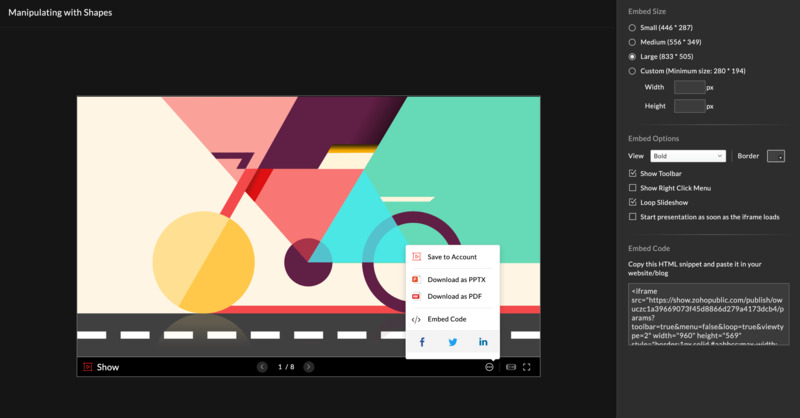 Zoho Show lets you constantly modify and improve slide content. 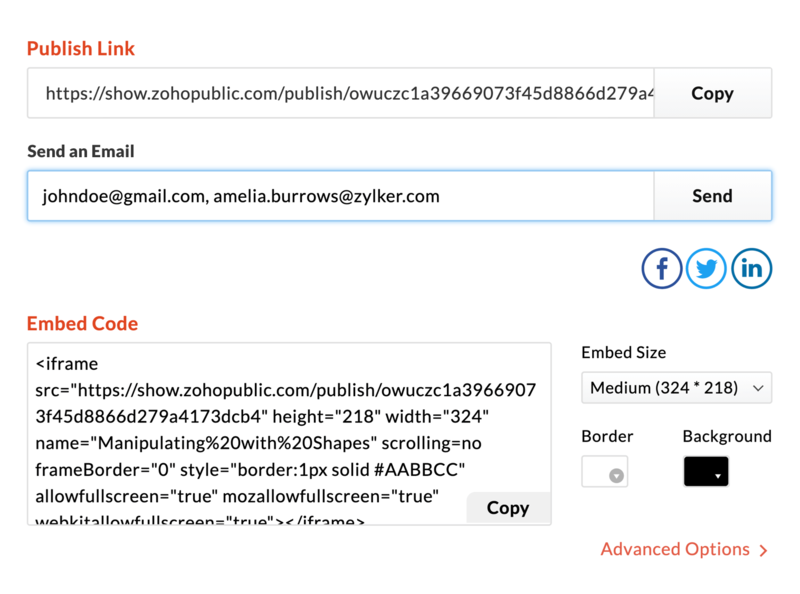 Keep working on content without disturbing the live deck, by locking what's published. If required, re-publish the new version when ready. Allow users to download a copy of your published slide deck in a .pptx or .pdf format for future reference. In case the user has a zoho account, the file can be saved directly. 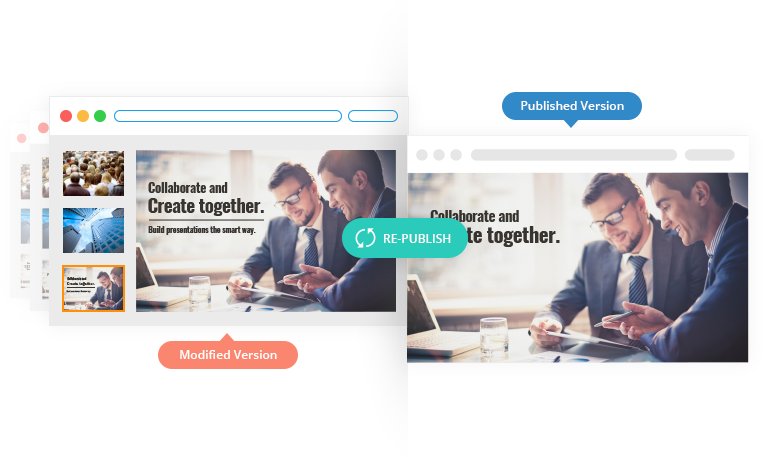 Create and publish slides within your organization for your colleagues to access and share feedback. Forget converting presentation files into smaller packages before sending them to your team via email. Show off your ideas or narrate a tale to audiences who visit your page. Embed your presentations on websites or personal blogs and express your thoughts to the world. Publish your stories. Spread the word.